It is accepted wisdom that the best way to learn is from your mistakes. But for future nurses who will work in clinical care settings, a mistake could be the difference between life and death for a patient. Nursing Simulation Laboratories—spaces that replicate a hospital emergency room, doctor’s office or similar space—allow these students to apply what they’ve been taught in the classroom in real-time scenarios to give them the training and experience they need. To give nursing students the best possible experience and prepare them for the future, these labs must be designed to be versatile and realistic environments for learning. Nursing simulation labs should be designed so that student interactions with mannequins can be carefully monitored and controlled by instructors. This is often done behind a one-way glass partition just a few feet away. Control rooms are designed adjacent to the simulation labs with cameras, microphones and speakers connecting the two. Control rooms (pictured on left) allow instructors to observe, control and record simulations. From these control rooms, teachers can then adjust the reactions of the mannequins and speak for them in response to student questions. Everything is recorded for later playback and examination. Other students can observe their peers’ simulation from debriefing rooms nearby, and offer their own feedback once it is concluded. All of this allows for extensive evaluation of the experience after the fact. Students can watch their own actions and learn in real time. In this way, simulations labs serve as a powerful bridge between what students are taught in the classroom and what they will experience with live human patients. 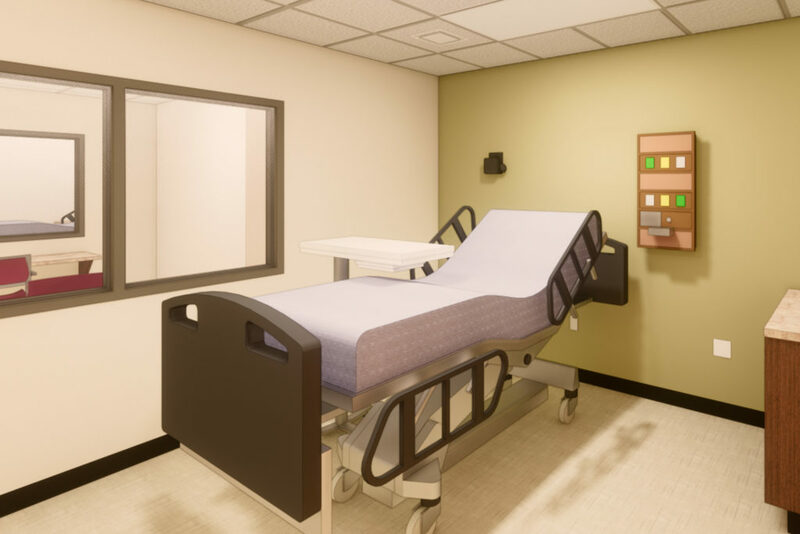 In many ways, designing a facility to house a nursing simulation lab is much like designing a regular hospital or other medical space, with the added complexity of giving people the ability to control and observe the space. 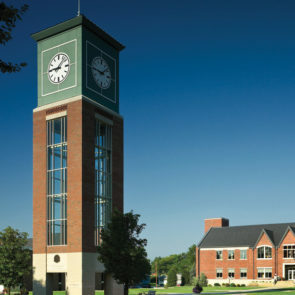 The lab must speak to the real-world example being simulated and immerse students in the experience. The design must also be efficient, emulating the flow of a hospital or similar setting. At Ivy Tech Community College in Indiana, Fanning Howey recently designed a nursing simulation lab that includes a nursing station, which allows students to get experience simulating the first touch point with a patient. To make the experience as realistic as possible, we design labs to emulate the entire process of a clinical care setting—from patient admission to discharge. 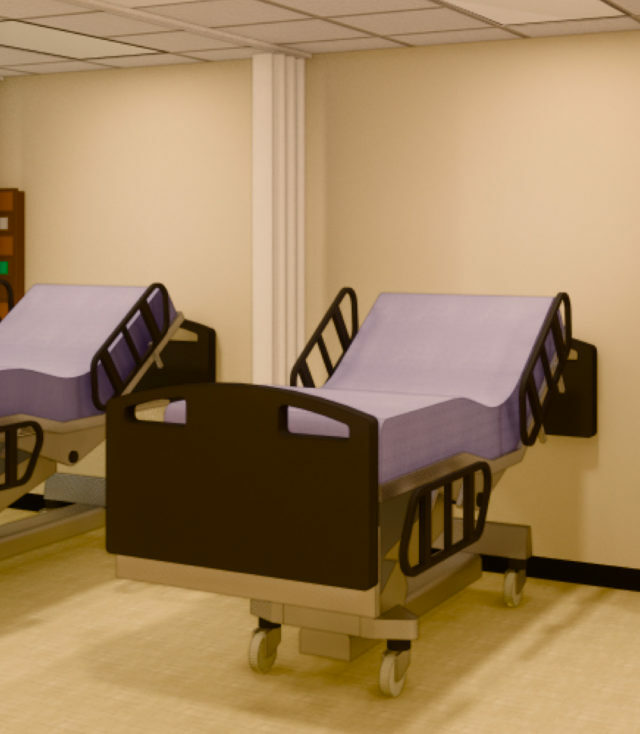 Whether incorporating into a new facility or retrofitting into an existing one, nursing simulation labs should give students all the benefits of a real patient encounter, in an environment that supports review and critique of their work. With careful design, these labs can better prepare students for future careers.